WARNING: This is a preview of Crossing Olympus. All components and rules are prototype and subject to change. Fed up with the foolishness of mortals, the Gods of Olympus have gathered to debate the fate of mankind. Take control of the twelve Olympian Gods and Goddesses, each bringing a unique ability that can alter the fate of your competition. Who will be the first to cross Mount Olympus? Rules and Game Play: In Crossing Olympus, players compete to be the first to meet one of the following conditions: 1) move one of their gods onto their opponent's gate space, 2) destroy all of their opponent's gods, or 3) prohibit their opponent from taking any further action (i.e. summoning, moving, attacking). If a player meets one of these conditions, they have won the game and have either saved, or destroyed, humanity. Gameplay starts with each player selecting either the light or dark version of mythological gods, receiving the corresponding god cards, and assuming position at the corresponding side of the play mat. The light and dark versions of the gods have the same actions/movements/attacks/health points, so there is no advantage of selecting one over the other. Each player shuffles their character cards and takes three random gods. The cards in hand are essentially the player's draft pool from which they can summon gods onto the board. As gods are summoned, players will draw another card from their character deck to replenish their draft pool to three cards, unless no character cards remain. On a player's turn, they have one of three options: Summon a god, Move a god, or Attack their opponent. Hera summoned onto the dark version's gate. Summon: When a player summons a god, the character marker is placed in on the starting space on the play mat, referred to as the "gate." When a god is summoned, it can also take a movement or attack action. Move: Each god has a unique movement, ranging from one space in any direction to unlimited spaces on the row. There is an important distinction between "direct" movement and "any" movement. If a character has direct movement, it cannot deviate from the line of movement after it begins its movement. For example, if a character has three direct movements, the movements must be all the same direction, so a player could not move two spaces forward, and then one space diagonally. 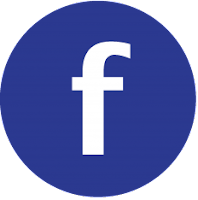 However, if a god has three movement in any direction, it is not limited to a direct line of movement, but instead could, for example, move one space diagonally, then one space backwards, and finally one space to the left. Players are not required to take the maximum number of moves available to the god; a player can elect to move a god only two spaces, even though the god has the ability to move three. Also, players' gods cannot share spaces with their allies or opponents. Attack: Each god has a unique attack that causes a different amount of damage to the receiving god(s). Gods cannot defend against an attack (with one exception mentioned below), so the only defense once in range of your opponent's attack is movement. Attacks cannot go through your other gods on the board, but they may go over or around them, depending on the attacking god. Zeus - Attack can pass over teammate or enemy character. Hephaestus - Adds +1 damage to an adjacent player's attack. Hera - 2X damage if attacking from the side or behind. Poseidon - Attack knocks all hit enemies back one space. Apollo - +1 damage on direct attacks. Aphrodite - Switch places with any friend instead of moving or attacking. This is considered a complete turn. Hermes - +1 movement to an adjacent god. Ares - +1 damage to enemies when Ares lands on an adjacent space. Artemis - Can do one damage to any enemy in exchange for one health point. This is considered a complete turn. Dionysus - If this god lands on an enemy, they are removed them from the board. Athena - Friendly gods on adjacent spaces are immune from damage. Hades - May bind one enemy per turn. This ability is triggered when he moves next to or attacks an enemy. The bound enemy cannot move or attack as long as Hades remains on an adjacent space. Enemies will stay bound until he moves away from them or they die. 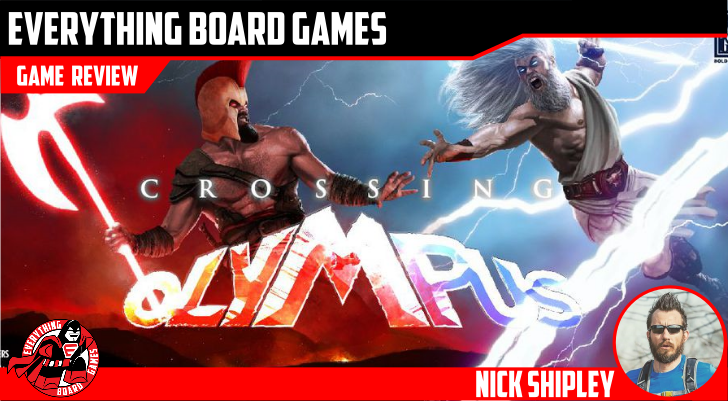 Theme and Mechanics: Simply put, the theme of Crossing Olympus revolves around the idea of the gods of Olympus becoming frustrated with humanity and debating whether or not they should wipe out humanity all together. After a short debate, it is decided that good versions of the gods will fight evil versions of themselves to decide the fate of humanity. If the good versions win, humanity goes on, but if the evil versions win, humanity is wiped out. The mechanics seem to complement the theme. 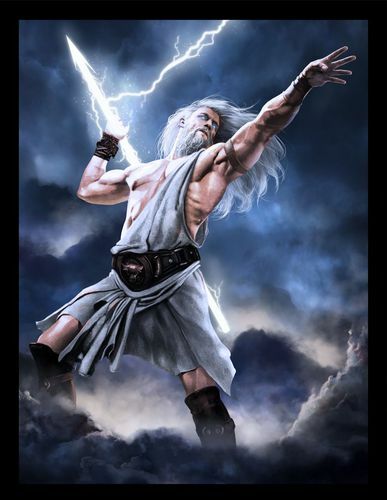 Zeus is traditionally viewed as the most powerful, and his attack does the most damage in the game. Hermes was the messenger with winged sandals, and in the game, he has great freedom in movement and increases the movement of those around him. Crossing Olympus at its core is an abstract strategy/grid movement game. There are other mechanics, such as hand management, drafting, and area-control, but to overstate those would do a disservice to the main mechanics of the game. You and your opponent have equal resources, movements, and attacks. Victory is dependent on how a player utilizes or exploits those various actions. Playmat grid as seen from the light side. That's to not say that luck plays no part in the game. Though you have the same gods with the same abilities, a player's ability to summon a god is still limited to the gods in their draft pool, which will differ from game to game. Artwork and Components: The game consists of one playmat, 24 god character cards, and 24 god markers. I felt that all of the components were high quality and would hold up through extensive play. The cards are an odd size (think slightly smaller than a postcard) and may be difficult to sleeve if you're into that kind of thing. Dark versions of Ares, Hades, and Hephaestus. I think the art is really good and flowed seamlessly through the playmat and gods. Greek mythology doesn't usually fall into my areas of interest, but I liked it as a theme. Since it is unknown if the components and art I received are final, I am hesitant to spend too much time discussing them. I will say that if these components were what I received as a final product, I would be okay with it. The Good: I really like the mechanics. It was reminiscent of chess, with just the slightest bit of luck thrown in. It also felt a little like an expanded Onitama, like Onitama and chess had a Greek baby. More on this under "Final Thoughts." Another good thing is that after the first play, even though I got beat soundly, I wanted to play again. I can't say that about every game. As you play and are introduced to the characters and their special abilities, you start to chain them together in your mind and imagine how you would use them in future plays. This is due to the luck factor of the drafting and hand management mechanic. Imagine playing chess where you blindly selected three pieces and you had to introduce one of the pieces to the board before getting another. You may get three pawns, or two knights and the queen, or the king, a pawn and the queen. All players will eventually have access to all of the same pieces, but the order is varied. This luck factor was implemented into the game and works really well. I don't think a player is ever going to win by luck alone, but you may be able to pair certain gods with each other, depending on the order they enter your draft pool. This also keeps the game from feeling the same through subsequent plays. Apollo and Athena are a strong pair. However, if you are the type that needs something more to refresh a game, I think that the game is prime for expansions. They could easily add new gods with different movements/attacks/abilities that would breathe new life into the game. Finally, I enjoyed the theme. As stated above, I don't usually gravitate towards mythology-themed games, but when considering the narrative at the beginning of the rules that outlined why there are two versions of each god and what they were fighting for, coupled with really good art work and quality components, it all came together and it just... worked. It was more than, "You are playing as Zeus and your objective is..." The designer shared the reason why you are playing as Zeus, why he is fighting a mirror image of himself, and why it is important. I think that taking time to share the reason for the theme is often overlooked in rulebooks, but it's something that I enjoy. It doesn't take much, but it really helps me to be invested in the game, rather than simply playing it. If you are colorblind, can you tell these apart? The Bad: My biggest concern with this game is accessibility to the colorblind. Since the dark and light versions of the gods are mirror images of one another, there are only two very small differentiators that one can use to tell their god apart from their opponents - the white or black base, and the purple or yellow health point track. That being said, I am not colorblind, and I am not familiar enough with the color combinations that may cause trouble. The purple and yellow may in fact be colorblind friendly, and if that is the case, then that is great. If you are colorblind, you will know better than anyone if differentiating the pieces would be an issue. How I see my character marker. How my opponent sees the same character marker. As much as I liked the narrative at the beginning of the rulebook, the rest of it could use a good scrubbing. The way things are laid out in a rulebook goes a long way with helping players understand the mechanics and general play of a game, and this is where I felt the game was lacking. The instructions had all of the information, but I didn't always find it easy to follow. There were several times in the beginning that my opponent and I were asking each other how we interpreted something simply because it wasn't always clear. Another opportunity for clarity is with the god markers. Each side of the god marker is of the same image, instead of one side mirroring the other; this wouldn't be bad, except that it's sometimes confusing to track the health points of an opponent's god. For example, from your opponent's view, the health point gauge on the god marker is at three, but it looks like it's on five from yours. This led to some confusion and allegations of not tracking damage. That being said, since the components may not be final, I don't want this to detract from the rest of the game; it is, however, worth noting. The Other: There's a big difference between a game with a 30-minute play time and a game with a 90-minute play time. This game has a range spanning both. I would prepare to spend closer to 60-90 minutes. This should decrease as you continue to familiarize yourself with the gods and their potential actions, but in my plays, we were always closer to 60 minutes rather than 30. Final Thoughts: I am not a chess player, so I was afraid that I would get skewered for getting a strong chess-variant feel from this game. The unique movements of each god, the grid playmat, and the fact that this game is very close to being a pure abstract strategy game strangely reminded me of a game I admittedly do not play. That being said, my wife, who was my sole opponent for every play of this game leading up to the review, is a chess fan, and she thankfully got the same feeling. Since there was consensus between a chess fan and a non-chess fan that the game has a chess-like feel, I wanted to capture the feelings of both. 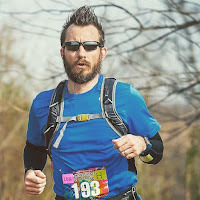 So, I have divided this "final thoughts" section into two parts - my thoughts (as someone that doesn't play chess) and a dramatic re-telling of a conversation with my wife (as someone who does). My Thoughts: Though I do not play chess or any of its variants, I really enjoyed this game. It is intellectually stimulating and relies almost exclusively on strategy rather than luck, but it's that little bit of luck thrown in that keeps the game fresh. I also felt a sense of accomplishment after each play, because although I lost every time I played my wife, it felt like I was getting better with each game. I was developing a skill rather than rolling a die and relying on chance. And the skill evolved, too; it wasn't simply employing the same strategy with each play, but building off of previous plays and looking at her movements as much as mine. I think this game could appeal to chess fans and non-chess fans alike, though it was my experience that players familiar with chess hold a strong advantage over those who do not. However, I would think that could apply to many, if not all, strategy games. I still feel that the rulebook could use a good scrubbing, but it was clear enough to play as-is. Her Thoughts: Below is an accurate, re-telling of my wife, as a chess fan, sharing her opinion. Me: What did you think of [Crossing Olympus]? Her: It was fun, but I like any game that I consistently beat you at. It's like chess. A different version, but yeah... chess. Me: Hurtful, but me too. I felt it was chess variant-esque, but since I don't play, I couldn't say for sure. Her: Oh yeah, I got a real strong chess vibe. Dionysus' movement is the L-shaped movement of the knight. And take Hera. She is one of the strongest characters in terms of attacks and her ability is referred to as "Queen's Revenge". Zeus can only move one space, like the king. There are a lot of similarities. Me: (In a slightly British accent) "In chess, the pawns go first." Me: Magneto in X-Men 3. Me: Yeah, I felt left out since I wasn't using chess terminology. Crossing Olympus, did you like it? Me: Does it have replayability? Her: You mean, is it replayable? Me: No, I mean replayability. Her: Replayability isn't a word. Me: Whatever, agree to disagree (*whispers* But you're wrong). Let me put it this way, could you see yourself wanting to play this again in the future? Her: (*whispers* No, I'm not.) Yes, I would play it again. Me: And the big question, would you back it on Kickstarter? Players Who Like: Chess and its variants, or Onitama. I am rating Crossing Olympus as chess fan tested, chess fan approved. Coming to KICKSTARTER in 2018! Nick is a compliance consultant by day, a board gamer at night, and a husband and father always. When he is not bringing a game to the table, he is running (most often to or from his kids) or watching the New York Yankees. Nick lives in Oklahoma.